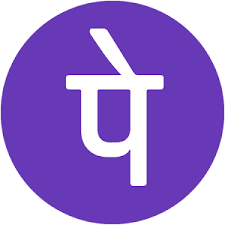 PhonePe Loot – Get upto ₹1000 Cashback on Money Transfer to 2,4,6,8,10 Different Phonepe user.PhonePe is back with an awesome deal and offering upto ₹1000 Cashback on Money Transfer to 2,4,6,8,10 Different Phonepe user. This Offer is Live from 5 October 2018. So Hurry up and avail this Offer Now !!. First of Download PhonePe app Here. Install and Open the Phone App. Verify your Mobile number via OTP And complete minor process. Transfer Rs 500 to any other Phonepe user (2 times). You will get the cashback upto Rs 1000 in your phonepe wallet. This offer can be availed once per user/bank account number/mobile number/mobile device. I like this blog, Android recharge tricks, and I like the blog and provide more information so thanks. Our Company Slcparamedical College also provides one of the best institutes, training college and good services provided. Thanks for posting blog, android recharge tricks, best shopping deals india, R O Care Patna provides you the best water purifier products.